Awards, Grants, & Scholarships is pleased to announce that it's application period is now open! 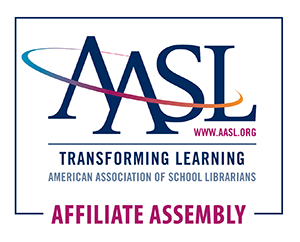 And this year, we have our AASL First Time Attender Grant! Please visit our webpages to find the application forms along with more information. We are looking forward to seeing YOU in Winston-Salem, NC, this October! Registration opens June 1, 2019. Please note that in the event of an unforeseen conflict, registrants may cancel their own registration up to 30 days prior to our conference. All registrants will be responsible for conference registration fees within the 30 days prior to the event date. We can't wait to Connect, Create & Curate with YOU! Please use this conference registration ONLY IF you received an email with details to register with this link. Thanks! To our special guests attending #NCSLMA19, please use your conference registration code you received via email to complete your registration between June 3 and July 31, 2019. Thank you so much for being a part of our conference. We can't wait to Connect, Create and Curate together! NCSLMA is pleased to announce the availability of Vendor Booth space for the 2019 Conference, October 2 - 4, 2019, in Winston-Salem, NC. Registration will open on April 15, 2019. Vendor Hall set up will occur on Wednesday, October 2, between 12 pm and 6 pm that evening. Security will be on hand to monitor the Vendor Hall for the duration of the conference, beginning on 10/2. The Vendor Hall will open on Thursday, October 3, 2019, with a continental breakfast for all conference attendees. The Vendor Hall will open at 7:30 am and be open all day, through the author signing event that evening, from 5-7 pm. Friday morning, October 4, the Vendor Hall will be open from 8 am - 12 noon.